Every year on February 2, thousands gather at Gobbler's Knob in Punxsutawney, Pennsylvania to find out what weather lies in store for winter's second half. But, can you take stock in what Punxsutawney Phil predicts, or is the celebration little more than February folklore? Yes, Groundhog Day's beginnings do originate from ancient weather folklore, but this doesn't necessarily debunk the celebration. After all, all lore, even if untrue, is based in a grain of truth. 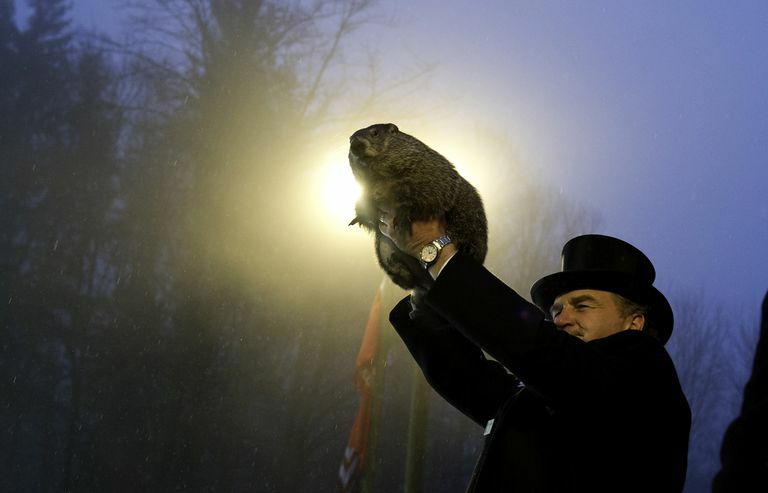 The grain of truth that links the groundhog to weather forecasting is the animal's den emergence and sheltering habits in February and March—a time of year the ancient Europeans believed to be special because of its ties to the spring equinox. If Phil sees his shadow, it means six more weeks of cold and winter weather for the U.S. But, if Phil doesn't see his shadow, expect unseasonably warm temperatures and the arrival of an "early" spring—springlike weather before the March equinox date. But just because the groundhog has a good internal clock, that doesn't mean he qualifies to be a meteorologist. You might not know this, but Phil doesn't even issue his own forecasts! Contrary to what you may think, Phil isn't set free and watched to see whether he roams about or scurries back underground. No, instead he is said to convey his prediction by chatting with the president of the Punxsutawney, PA Groundhog Club in "Groundhogese." During the conversation, Phil directs the president to one of two scrolls (each holding a different prediction). The president then proceeds to read aloud from the scroll Phil chooses. To put the groundhog's skill to the test, let's consider Phil's long winter/early spring predictions side-by-side with the February and March temperatures that the U.S. actually experienced. In 2016, Phil's forecast was spot on. He forecast an early spring, and the remainder of February not only was above-normal but ranks as the seventh warmest on record for the U.S.
March, too, was mild. Each of the lower 48 states had temperatures that were warmer than the average for March. In fact, it was their top third warmest on record, while it was the fourth warmest March for all of the U.S., Hawaii and Alaska included. How Accurate Were Phil's Predictions from 2007-2016?